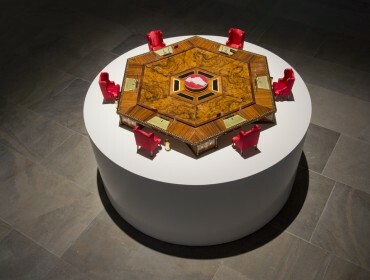 The Whitechapel Gallery presents the first of four displays drawn from the Barjeel Art Foundation’s major collection of Arab art from the modern to the contemporary period. 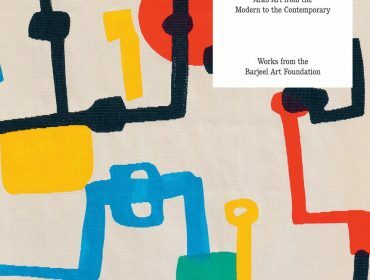 Imperfect Chronology – Debating Modernism I explores the emergence and subsequent development of an Arab art aesthetic through drawings and paintings from the early twentieth century to 1967, an important historical period in the region. Display highlights include a portrait painting of a young woman in profile by Armenian-Egyptian artist Ervand Demirdjian titled Nubian Girl, which is believed to be one of the earliest works in the collection made between 1900-10. 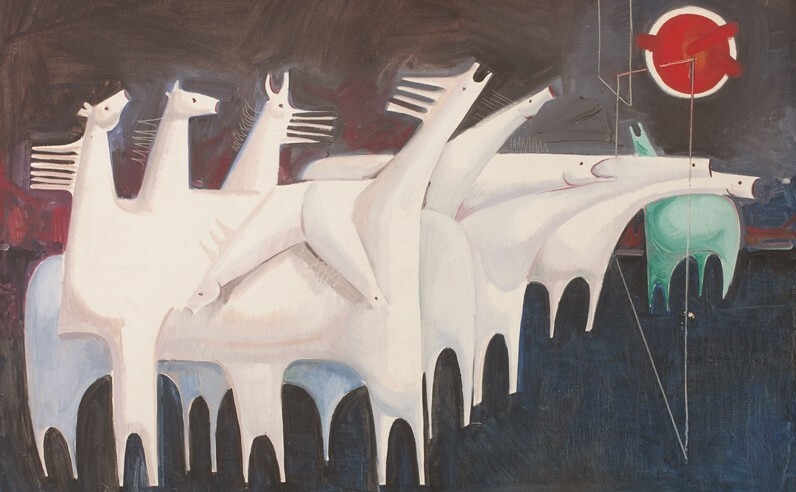 An early career painting by Dia Azzawi, recognised as one of Iraq’s most influential living artists, is also on show alongside Kadhim Hayder’s painting of symbolic white horses titled Fatigued Ten Horses Converse with Nothing (The Martyrs Epic) (1965). The display ends with Hamed Ewais’s Le Guardien de la vie (1967-8), a large-scale oil painting that depicts a fighter, weapon in hand, while underneath him everyday events such as a wedding taking place and a child riding a bike are shown, suggesting the possibility of societal renewal following the collapse of the Pan-Arab ideal after the Six-Day War in 1967. Discover the Barjeel Art Foundation Collection and our four-part series of displays featuring works from Algeria, Egypt, Iraq, Lebanon, Palestine and more | Continues until January 2017.